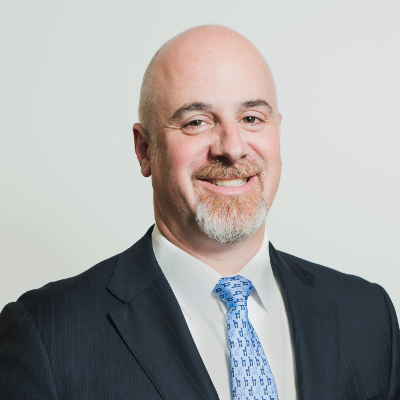 Scott A. Entin | Miner, Barnhill & Galland, P.C. Scott is a partner at Miner, Barnhill & Galland who helps clients on a wide range of matters. His passion for his clients and their shared causes has translated to positive change and millions of dollars in results. In recent years, Scott has concentrated much of his time on protecting people and their property from the harms of pollution. In 2015, his work in this field helped lead to the grant of class certification for thousands of Iowa residents who suffered from the pollution of a neighboring factory (Freeman v. Grain Processing Corporation, Oct. 28, 2015). As Special Assistant Deputy Attorney General to a number of states, Scott has worked tirelessly to root out fraud in the pharmaceutical industry. This work has helped secure multi-million dollar verdicts and settlements on behalf of the respective state Attorneys General. Since joining the firm in 2005, Scott has worked with clients to eliminate sexual harassment and discrimination in the workplace based on race, gender and national origin. Scott also has extensive experience representing clients in class action lawsuits, small businesses in contract disputes, individuals who have been discriminated against, state Attorneys General in complex litigation and other clients in a wide variety of litigation. Regardless of the complexity of the issue, or the size of the case, Scott is always available to his clients and is devoted to providing them the highest quality representation. Along with his partner, Sarah Siskind, Scott helped to develop the firm’s Pollution and Environmental Litigation practice. The practice focuses on protecting people and their property from corporate polluters. Scott’s work in this field includes class action litigation, individual citizen suits and work with advocacy groups such as Sierra Club and Clean Wisconsin. Since joining the firm, Scott has represented both plaintiffs and defendants in discrimination cases and employment disputes, including national class actions and individual cases before local agencies. He has expertise in the federal, state and local employment discrimination laws. Scott has represented clients in wage, hour and overtime disputes, and has expertise in all types of contract disputes, including those concerning severance, employee benefits, and non-compete and non-solicitation agreements. Scott has served as Special Assistant Deputy Attorney General to a number of states suing dozens of pharmaceutical companies for pricing practices that allegedly violate state False Claims Acts and consumer protection laws. He has been a part of multiple trial teams that have secured multi-million dollar verdicts/settlements on behalf of the respective state Attorneys General. Scott has also represented clients in fraud cases involving the military/defense contractor and healthcare industries. Since the beginning of his professional career, Scott has worked with hospitals and physician clients on a variety of healthcare law topics. He has extensive and successful jury trial experience in these cases, and has advised hospital clients on affiliation and disaffiliation issues, third-party payor litigation and other medicolegal claims.